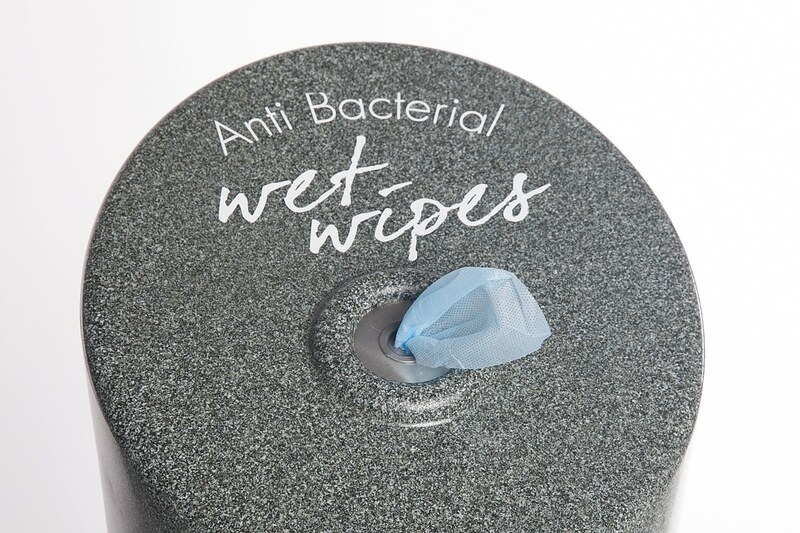 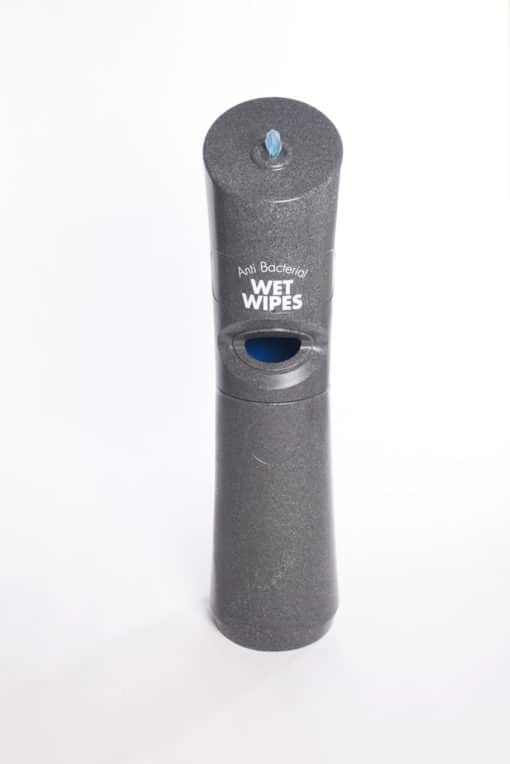 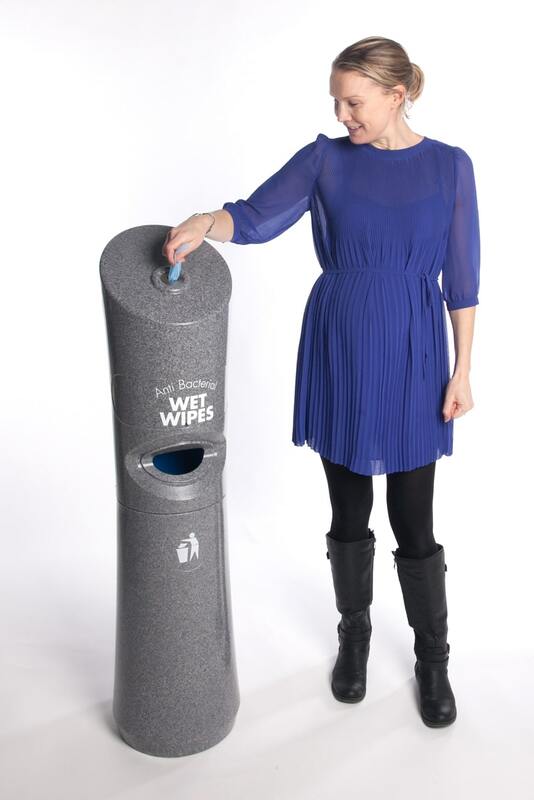 We offer 2 types of Wet wipe dispensers a free standing dispenser with an integrated bin or a small wall mounted. 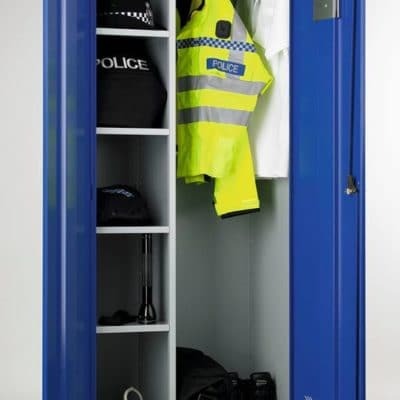 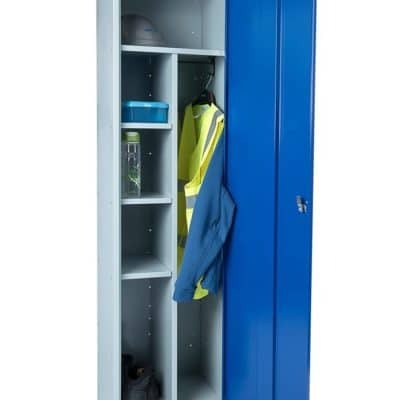 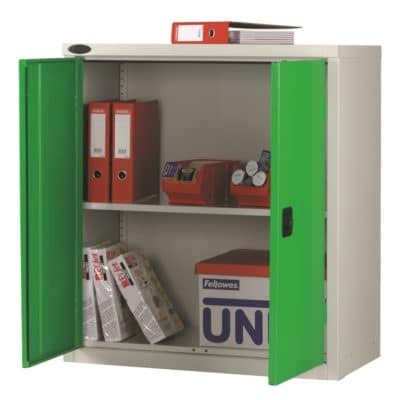 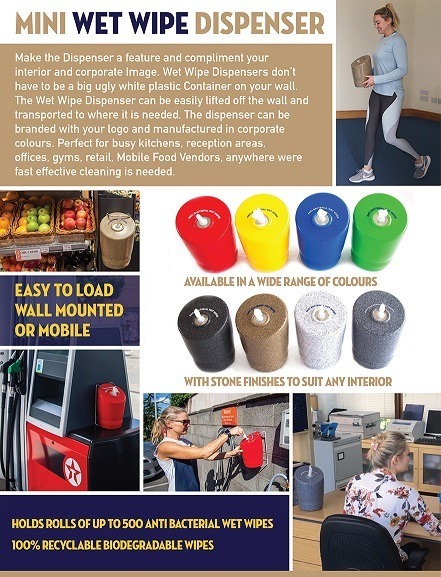 For Fitness Gyms,Hospitals,Offices,Schools,Canteens,Food industry,Barber shops. 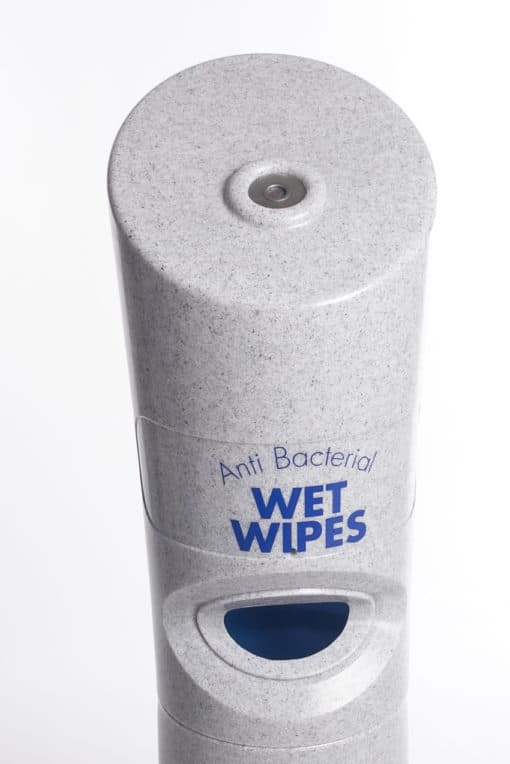 Wet wipes dispenser station have wipes which are specially formulated to be kind to hands but tough on germs and bacteria on surfaces. 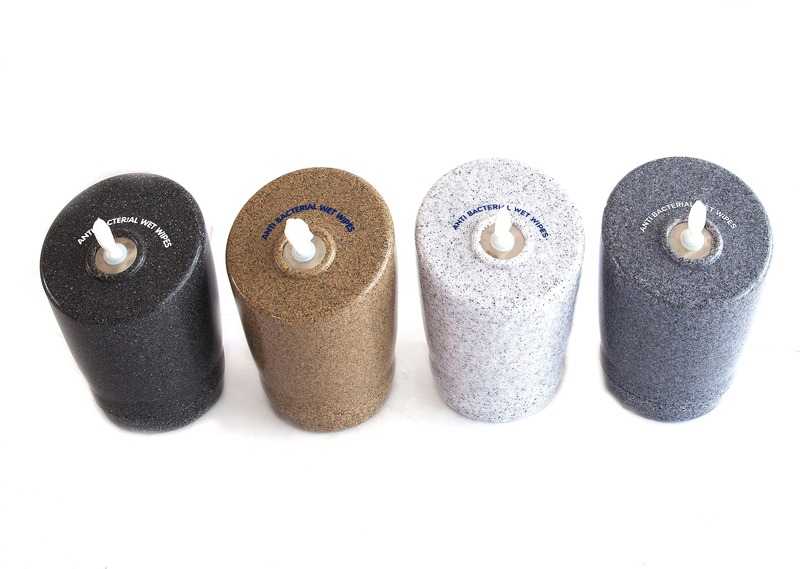 Can be produced in many colours, Black,Red,Green,Blue,Orange,Yellow and Stone Effect Colours including, Granite ,Green Marble ,White Marble, Sandstone. Wet Wipes Station has a 21 litre bin. 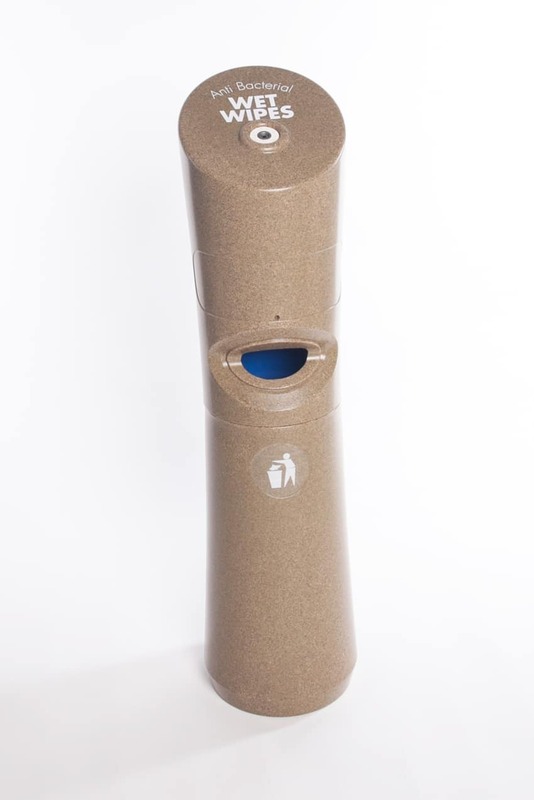 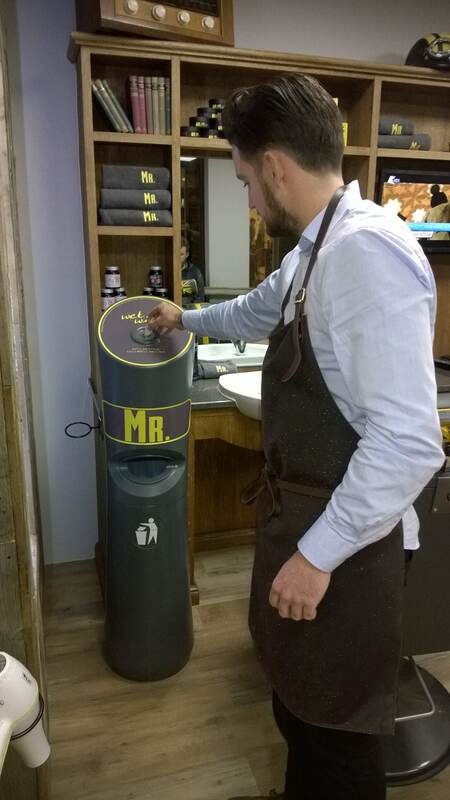 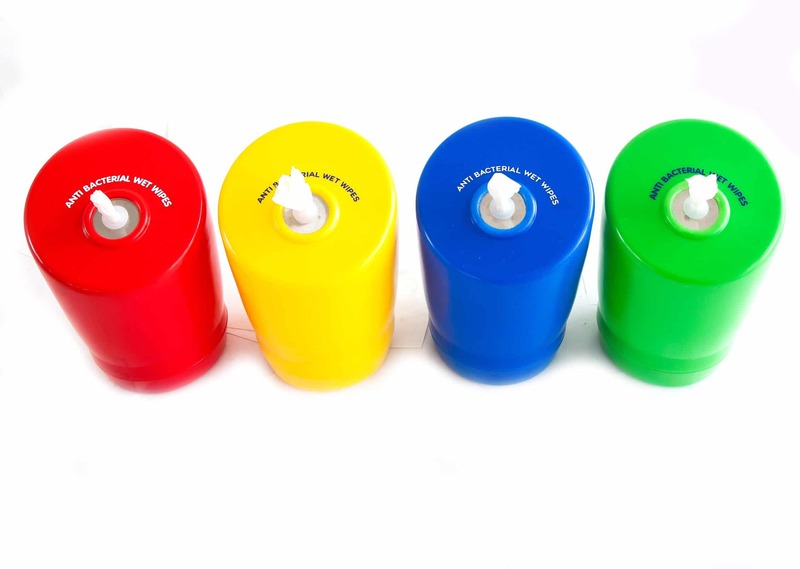 Designed to meet high usage demands whilst using minimal space, this dispenser can hold 500, 100% recyclable, biodegradable wipes and can be strategically placed to best suit your customer’s/staff’s needs. Highly effective on hands & equipment killing 99.9% of germs and bacteria. Rubber base weight for stability.